Haydenshapes Surfboards is looking for an E-Commerce Manager. If you meet the requirements below, you will be eligible to apply via Digital Marketing Community. Create strategies for driving and increasing traffic. Manage website content including blog content, stories and interviews. Manage e-newsletter campaigns to help drive brand and product stories. Design, package and execution of marketing assets across all online platforms and sales channels. Manage the digital advertising including (Google Analytics, AdWords, retargeting, Facebook, Instagram, YouTube, and other media partners). Work on content creation with the internal Haydenshapes video, creative, product, brand and sales team members. Create and deliver reports in all areas for directors, along with strategies to help improve and grow. At least 3 years of working experience in a similar role. Proven track record of achieving/exceeding set KPI’s and deliverables. Proficient experience in using Google (Analytics, Adwords and Trends). Effective working knowledge of (Shopify and WordPress). Expert understanding of using (Illustrator and Photoshop). Intermediate video editing skills in a huge plus. Basic working experience with (HTML). 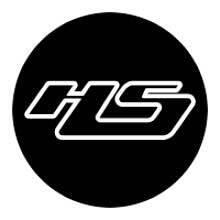 Haydenshapes Surfboards is an Australian performance surfboard brand founded by designer and entrepreneur Hayden Cox in 1996, sold worldwide.